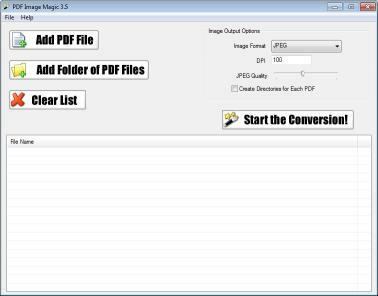 Freeware to convert any PDF file (or files) to a PNG GIF JPEG EMF WMF TIFF or BMP image with variable DPI and quality settings. Take an ordinary PDF and convert the entire page to an image file for use on the web (or anything else!). 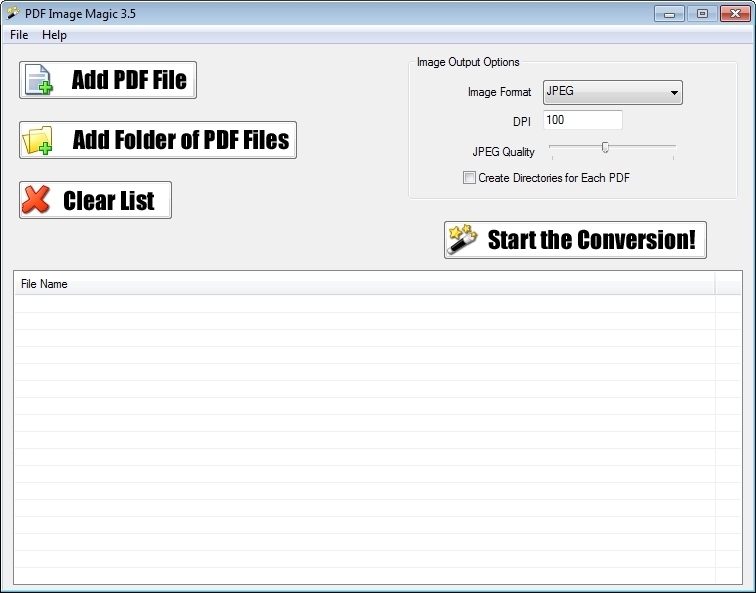 PDF Image Magic converts the entire page (graphics and text) so there is nothing left out! With variable quality DPI and JPEG quality the conversion possibilities are endless!PDF Image Magic supports the conversion of the following types of PDF documents : Multiple page PDFsEncrypted PDFsText-only PDFsImage-only PDFsVirtual anything else!For those looking for a server or command line version see the website! Full PDF conversion in a tiny affordable package!